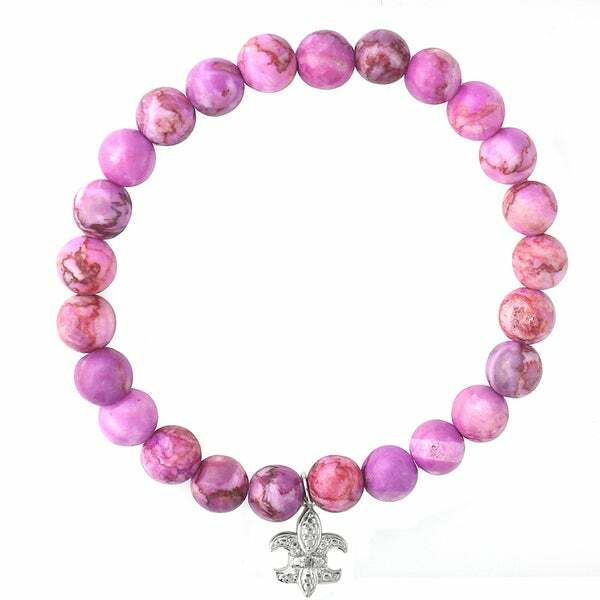 This very fashionable bracelet features 8-9 mm crazy lace agate beads. A diamond accent fleur de lis symbol charm adorns this stretch bracelet. All weights and measurements are approximate and may vary slightly from the listed information. *T.W. (total weight) may vary and is a minimum of 0.005 carat. Treatment code E (agate) and N (diamond). See Treatment Guide for further information.